Have you seen this new backpack of mine from Ciciero? I'm planning to wear this bag to school when the new year starts. It might look a bit small, but actually it fits lots of stuff and even my 13" macbook. The red color also gives a 'strong and bright' vibes which can boost up my mood at school! The cap I'm wearing is from Urban Glam. This online store has the best price ever. You can get this cap only for IDR 60.230! I really like this outfit, the dress is really cool! congrats vereeenn!! and cute cap! 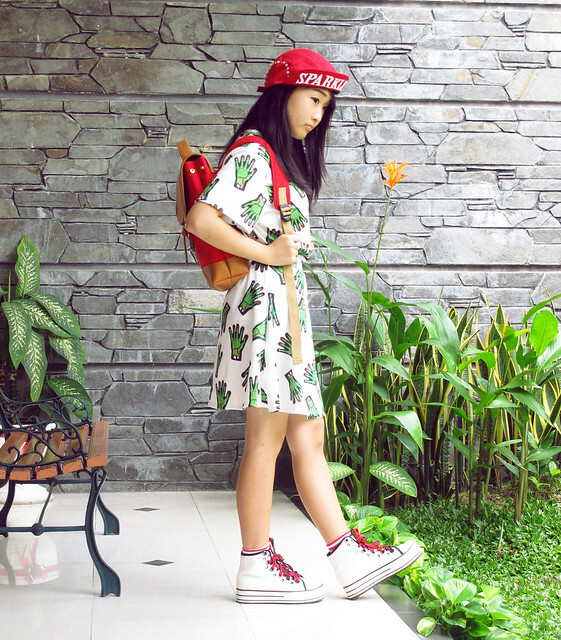 Nice dress, love your blog! Such a cute dress! I love how you pair it with a sneakers! :) You have a nice blog. I just followed you via GFC Bloglovin. I hope you can follow back. I'll wait for you in my blog dear. I love your dress the mosttt!! check my blog for a giveaway! 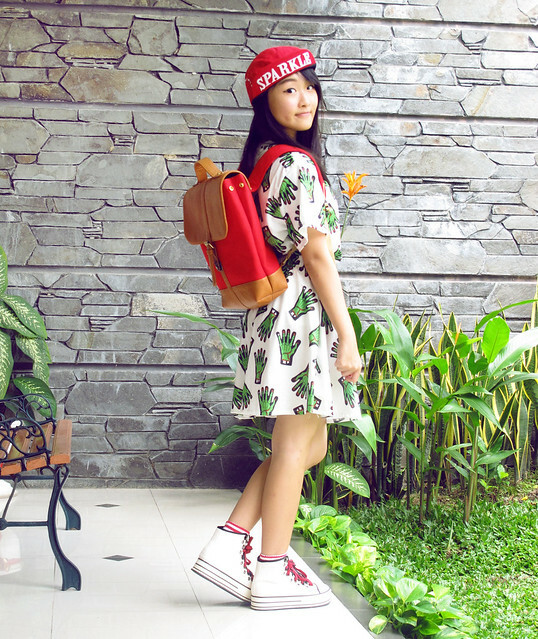 Sheinside Giveaway - Win $100 Shopping Coupons!